HARRISON, N.J. — Sorry Red Bulls fans, the team won’t play the San Jose Earthquakes again until next year. 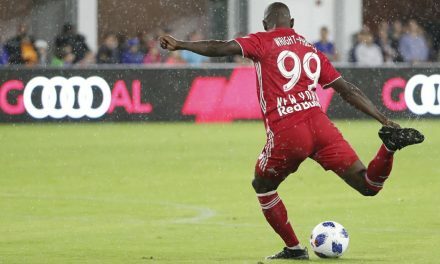 Yep, the Red Bulls tallied four of their six goals against the Quakes in their 4-1 victory March 16 and since then it has been essentially one long drought in the Major League Soccer desert. 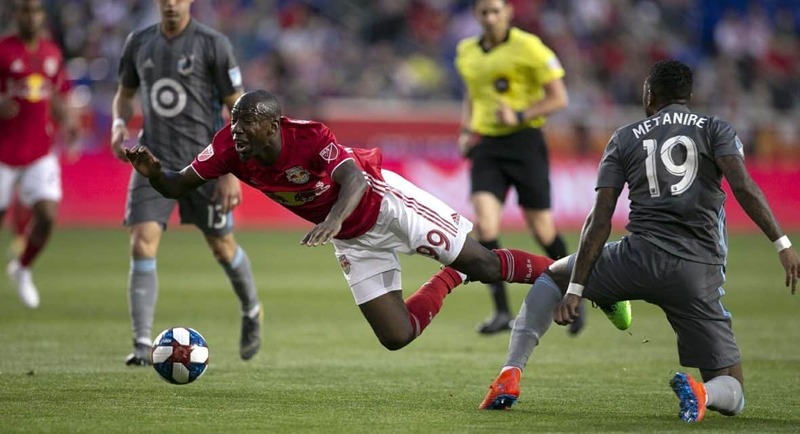 Their goalless streak was finally broken at 250 minutes but they suffered a 2-1 ….. defeat to Minnesota United at Red Bull Arena Saturday night. Abu Danladi and Romario Ibarra found the net for Minnesota against goalkeeper Luis Robles. New York striker Bradley Wright-Phillips, who has but one goal this season, was never a factor. 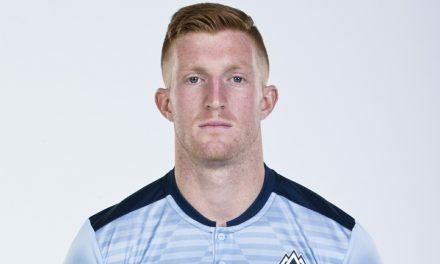 The loss marked a dreary day for both New York-named MLS sides as New York City FC played the Montreal Impact to a scoreless draw earlier in the day across the Hudson River at Yankee Stadium. It also continued what has been a horrendous start to the season for clubs. 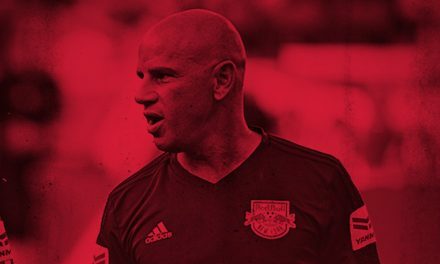 The Red Bulls (1-3-1, 4 points) and NYCFC (0-1-4, 4) have a combined 1-4-5 mark. Minnesota (3-2-0, 9) drew first blood in the 34th minute as Danladi slottedhome a Romain Metanire right-wing cross from atop the penalty area for his first goal of the season. You might say United’s goal was dressed to the nine’s. No. 9 Angelo Rodriguez passed to No. 19, Metanire, who crossed the ball to No. 99 Danladi. Rodriguez was in the middle of the visitors’ second goal as Ibarra half-volley his feed home for a two-goal advantage in the 50th minute. 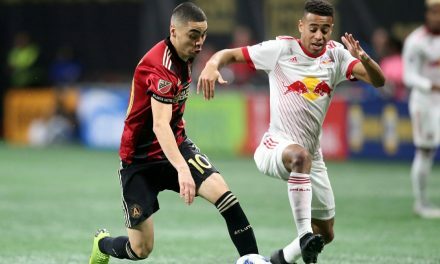 Cristian Cásseres Jr. snapped the Red Bulls’ scoreless streak with his first MLS goal in the 70th minute, tucking in a rebound during a goal-mouth scramble after goalkeeper Vito Mannone saved Tim Parker’s header. It was the Red Bulls’ first goal since Daniel Royer found the back of the net in the 90th minute vs. the Earthquakes.